The time of old always raise the respect and admiration in us. That’s why we try to revive the handicraft tradition using original materials and we bring back lost purpose of the cellar rooms that is they should serve to us. We give them an artistic value and a style. There are very favoured grapevine motifs for instance which we mold from the artificial sandstone or carve and chisel into the floors. All things we do they are original handmade and therefore you never see two identical ornaments. 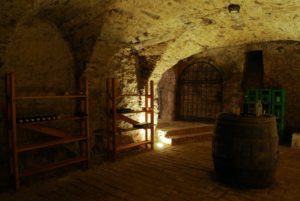 That way the cellar rooms can get highly presentable character. We are looking forward to your imaginative orders.